Glorify The Lord with me, let us exalt His name together. Hello friends! I'm so excited to do this blog post. 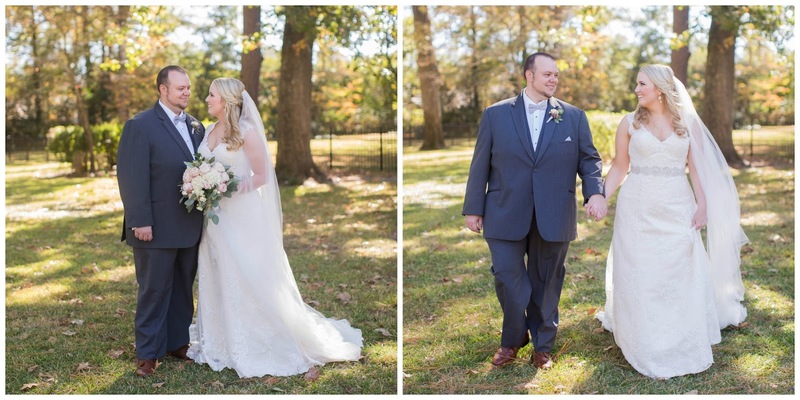 Not only does it mark the FIRST of many, but it's also all about mine and Jonathan's wedding day! 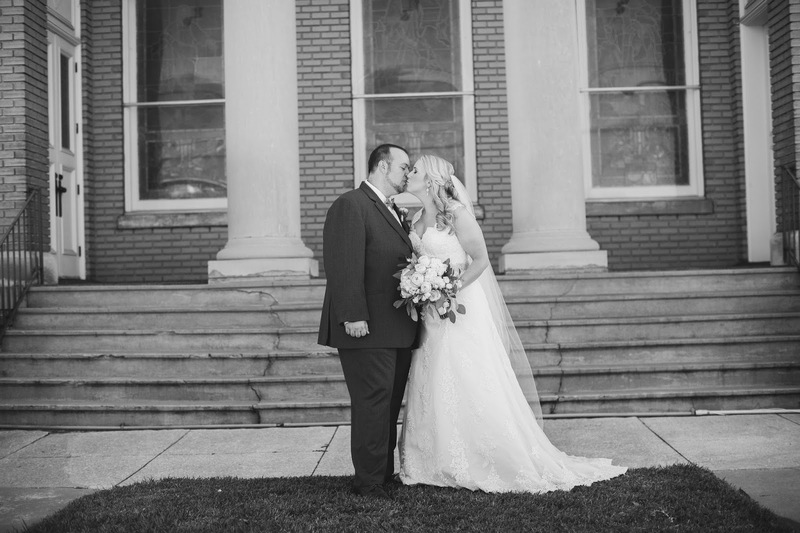 We were married November 5th, 2016 in Jonathan's hometown. Our ceremony was held in the church he grew up in with all of our friends and family present. 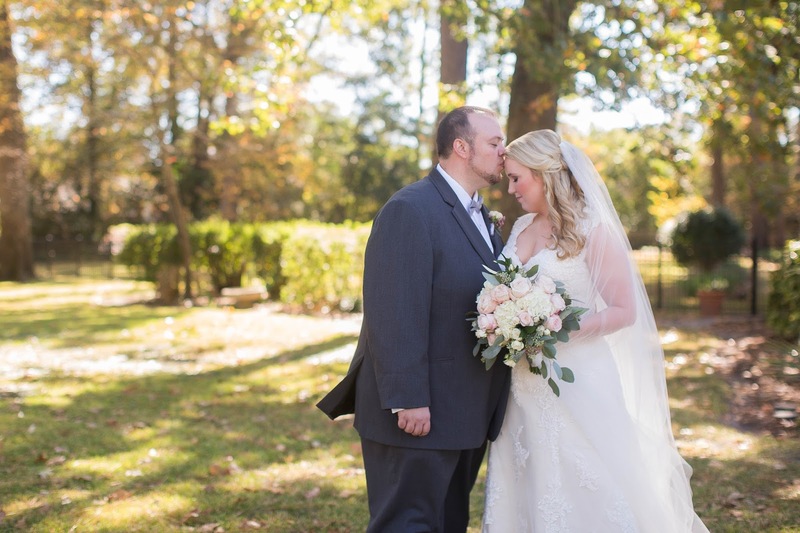 Initially, when I started wedding planning, I envisioned an outdoor ceremony but soon saw important it was to Jonathan to be married in his home church. It's a decision I will never regret. The sanctuary is lined with stained glass windows, and the way the sun danced throughout the sanctuary for our early evening wedding made time stand still for Jonathan and I (cheesy I know). Our reception was held outdoors under a canopy of lights nestled between the trees. The weather was AMAZING! God truly showed up and showed out! My favorite part of our reception was our band. The bass player was a co worker of Jonathan's and we frequently went to see them play. The first time we saw them play was prior to our engagement, and we both immediately knew they would play at our wedding one day. 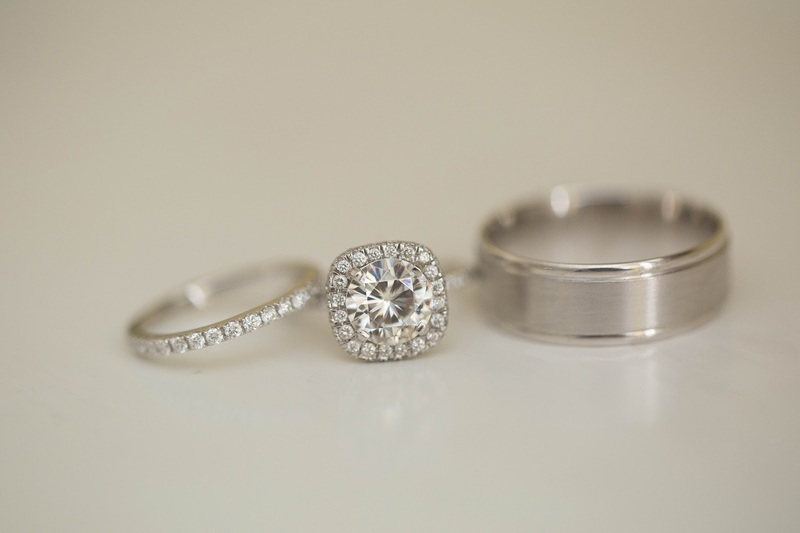 When it came to my bridal accessories the small details really mattered, and I love how beautifully our photographer captured them all of them. 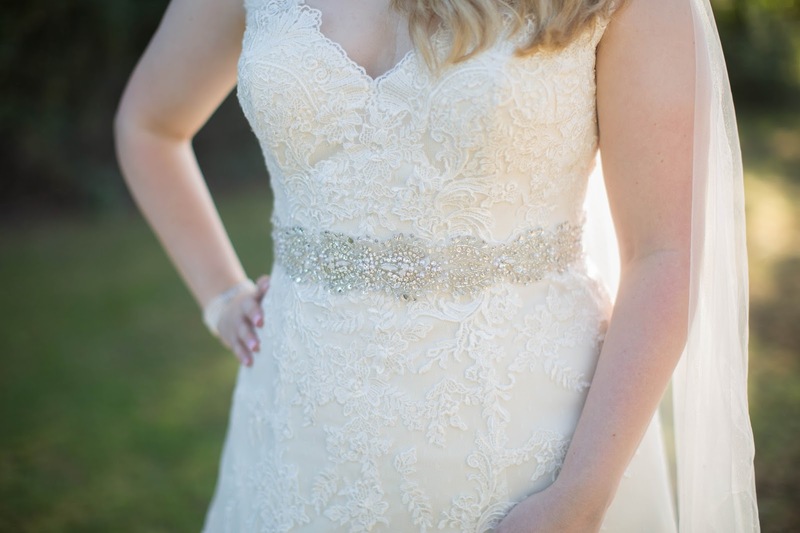 My crystal and pearl earrings matched the beading on my belt perfectly. My "something borrowed" was a pearl bracelet from Jonathan's mom which made it even more special to wear on our wedding day. 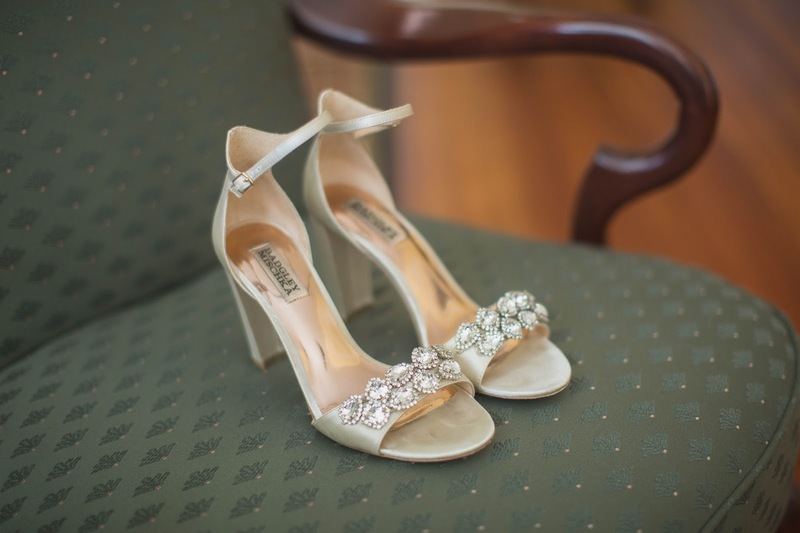 Before I even had my dress picked out I knew I wanted to wear Badgley Mischka shoes. I ordered two pairs and decided on an ankle strap style. They were classic without being too understated. I loved them so much I even wore them to our rehearsal dinner! 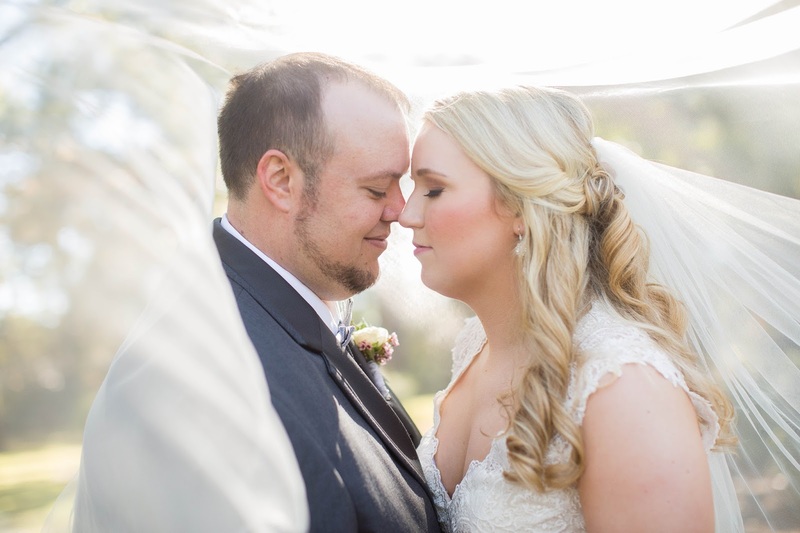 Of all my bridal accessories, my veil was by far my favorite and truly a dream to wear! 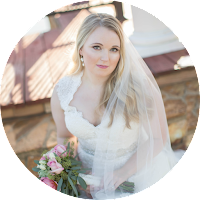 It was a soft white, chapel length veil made of the softest tulle. 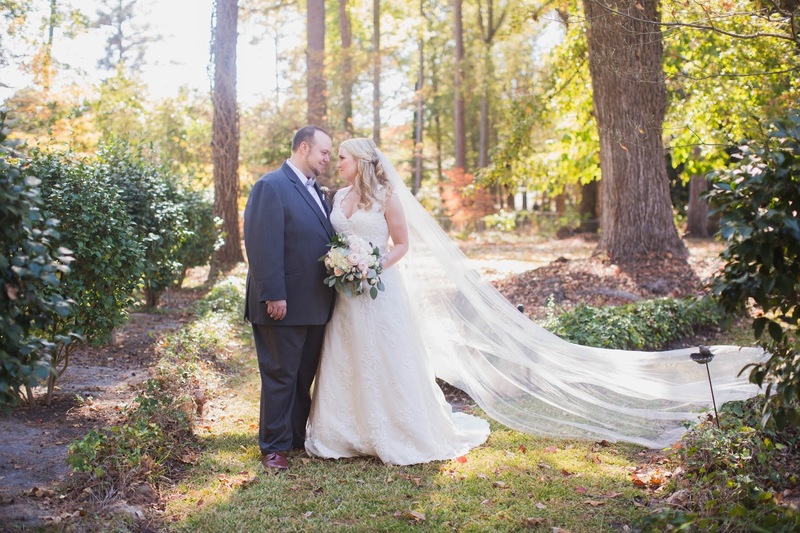 The fall wind blew the veil around Jonathan and I which made for breathtaking photos. After women, flowers are the most divine creation. I had a specific vision for our wedding flowers, which was no surprise. I grew up spending countless hours outside with my mom as she tended to her gardens leaving me with a love for fresh cut flowers. 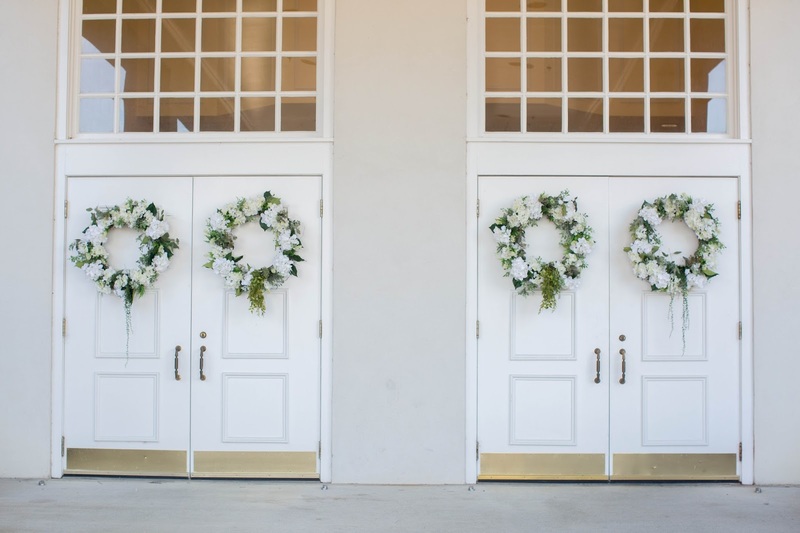 I spend months browsing Pinterest and Style Me Pretty posts to pinpoint my overall vision for what the wedding flowers should look like, There were so many color palettes and styles that were absolutely beautiful. I have always gravitated towards muted colors, and in the end, our wedding flowers reflected that. I fell in love with seeded eucalyptus and wanted it incorporated everywhere. 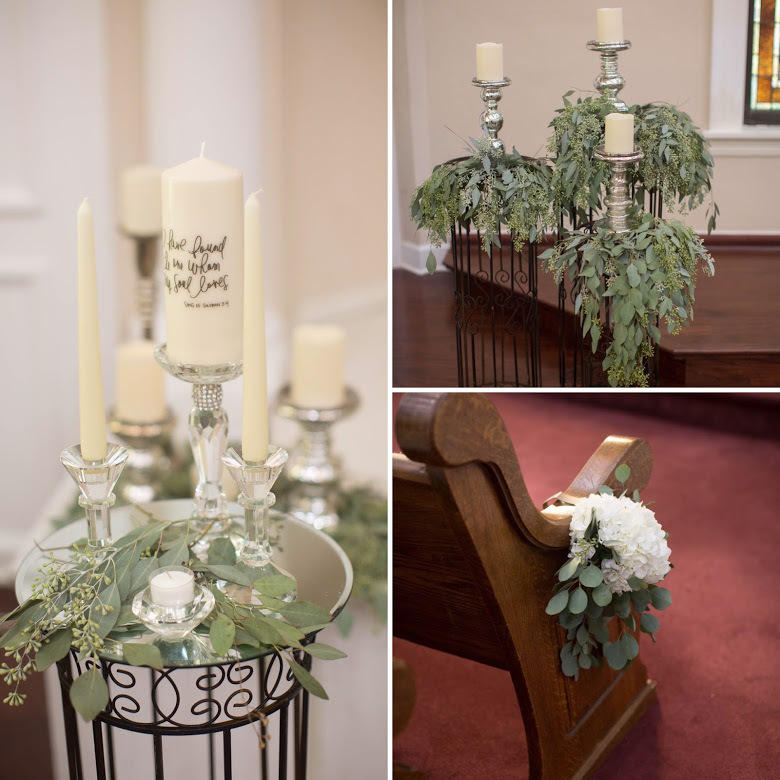 It was classic and elegant without taking away from the natural beauty of the sanctuary. 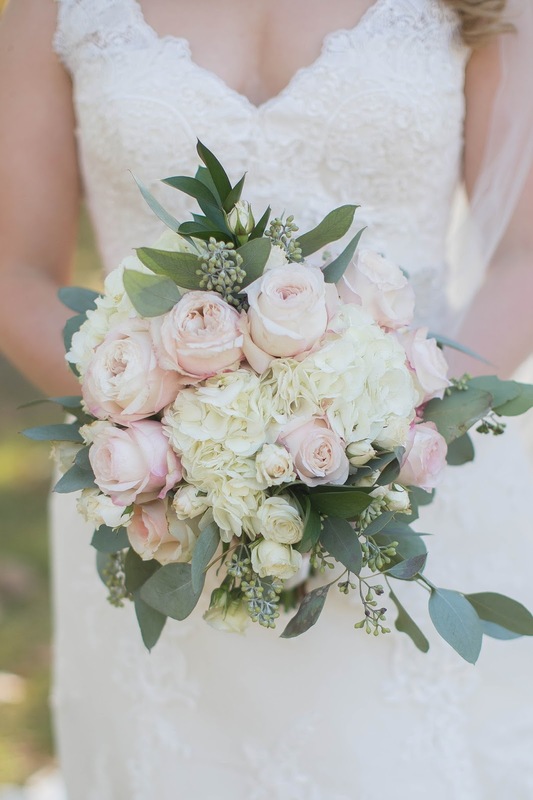 My bridal bouquet showcased soft pink roses, white hydrangeas, spray roses, and greenery consisting of seeded eucalyptus and fall bay leaves. There is great beauty in simplicity. We were very casual when it came to planning and printing our wedding paper. In fact, I took a hands-off approach when it came to the look of our wedding invitations and let Jonathan design them with very little guidance from me! We also printed both the inner and outer envelopes ourselves. I remember us staying up one night; watching the Olympics and printing envelope after envelope! We cherish those times together and still laugh at how we tirelessly printed and lined over 250 envelopes by hand! 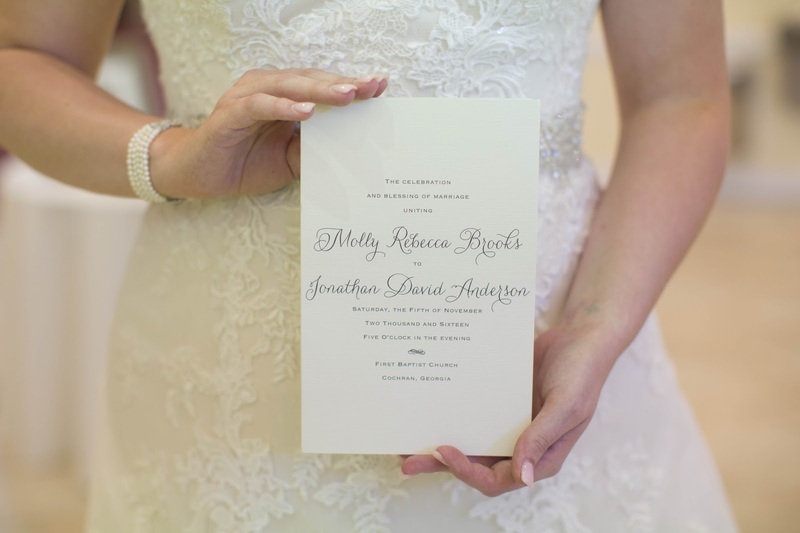 I ordered my wedding programs from Etsy at the last minute and had to have them rushed. They turned out beautiful! The paper for both pieces was a soft white with slate colored print. You have been then last dream of my soul. To future brides, I encourage you to remember that a beautiful marriage is far more precious than a beautiful wedding! Though easier said than done, (believe me, I know) enjoy this season with your future husband. 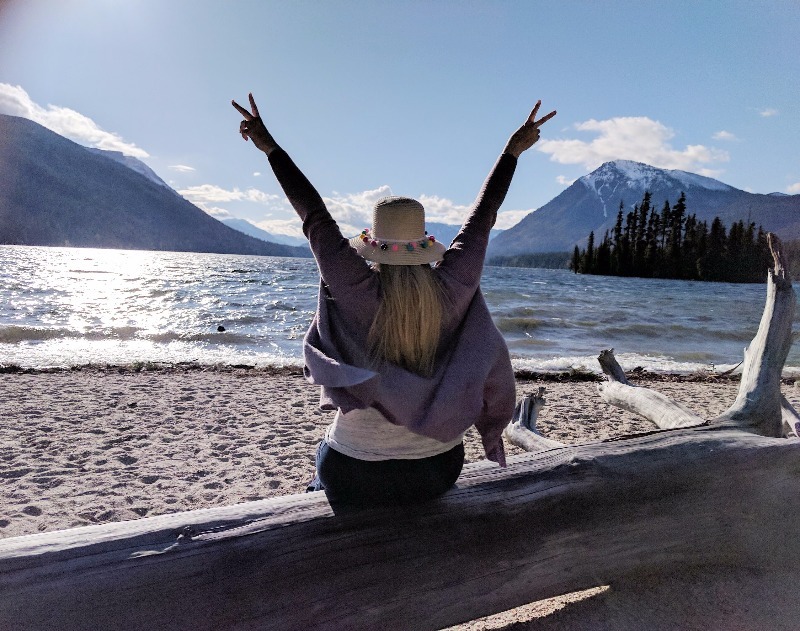 Throughout your planning, be authentic to yourself! 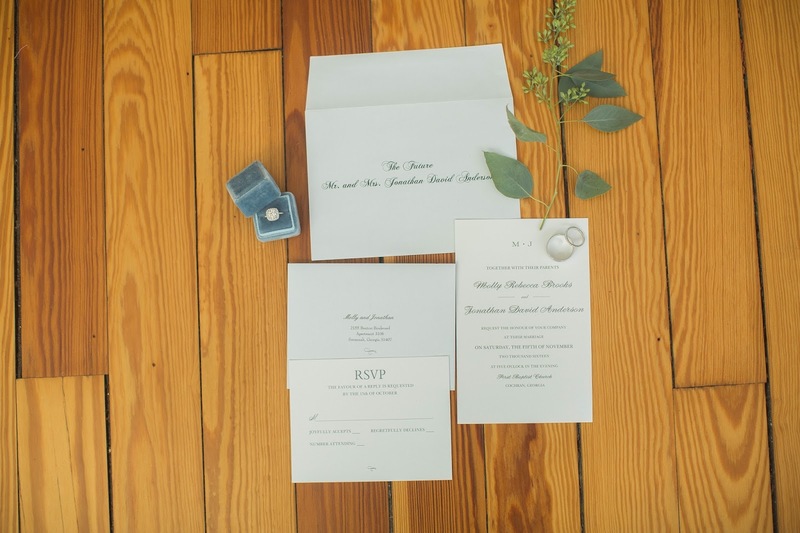 Choose elements for your wedding that make you feel beautiful and relaxed! 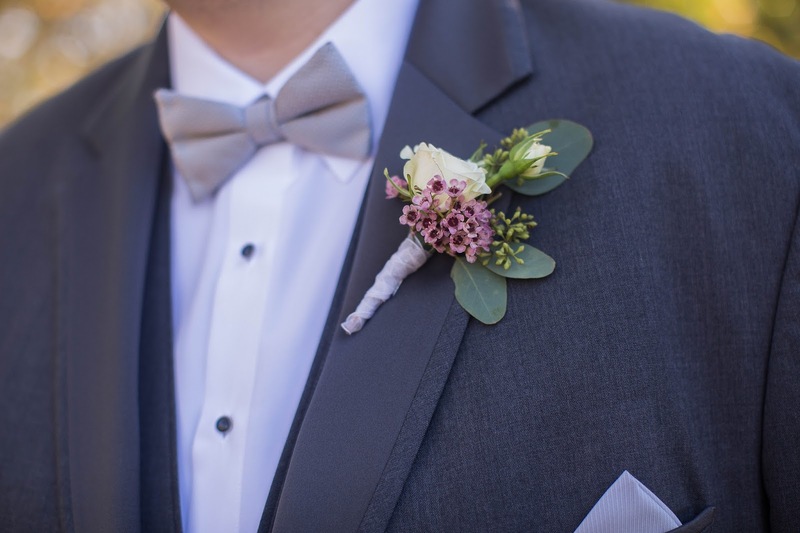 If something is forced, it will ultimately appear forced on your special day. 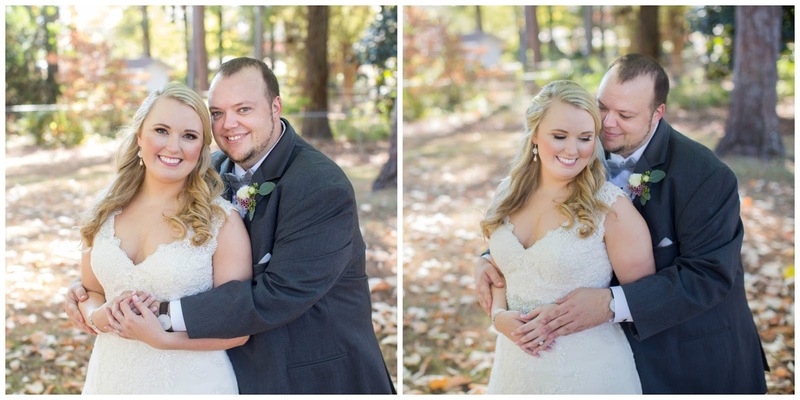 Oh how cute these wedding photos are. I truly loved taking a look at these details. I am also going to get married soon and will be having a grand ceremony. but it has become really hard to find the affordable wedding venues in the city. I want a medium sized garden inspired ceremony. It will be great if you could help me find a good one!